As a landscape historian, Jill Sinclair seeks to reveal hidden meanings and stories in the places around us – to bring historical landscapes, people and ideas to life. She does this is in a variety of ways – through guided history walks, illustrated lectures, an established blog, informal talks, scholarly articles, posts on popular websites, and academic conference papers. A Brit who has lived and worked in the US, France and most recently India, Jill obtained an MA with distinction from the Inchbald School of Design in London, and completed post-graduate studies in landscape design and history at Harvard’s Landscape Institute. Her first book, Fresh Pond: the History of a Cambridge Landscape, was published by the MIT Press in 2009. 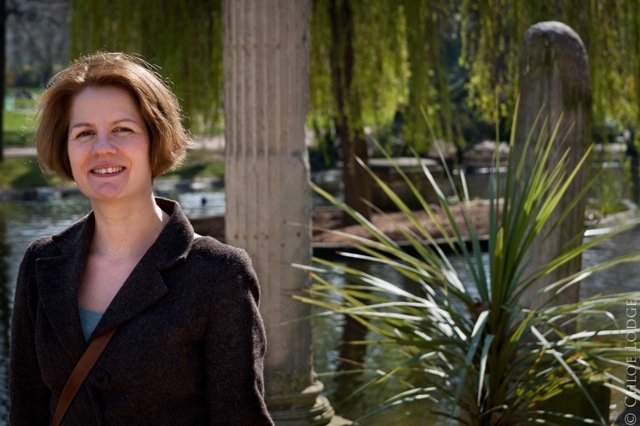 Jill’s research interests include international and cross-cultural issues in landscape studies, the changing values and significance of heritage sites, and the impact of sustainable practice on historic gardens. Recent work has ranged from consulting on a BBC television series on the history of French gardens to producing a chapter on links between early Renaissance and Mughal Indian landscapes for an academic volume. Jill is also a director of the Historic Gardens Foundation and joint editor of its magazine, Historic Gardens Review.